The $60 bln DIY retailer clipped its operating margin growth for 2017 to ramp up marketing. That sliced $4 bln from its market cap. Attracting more shoppers to visit outlets in search of home-improvement stuff underscores an increasingly bitter rivalry with its $180 bln peer. Gift cards are shown for sale inside a Lowe's retail store in Carlsbad, California, U.S., May 24, 2017. 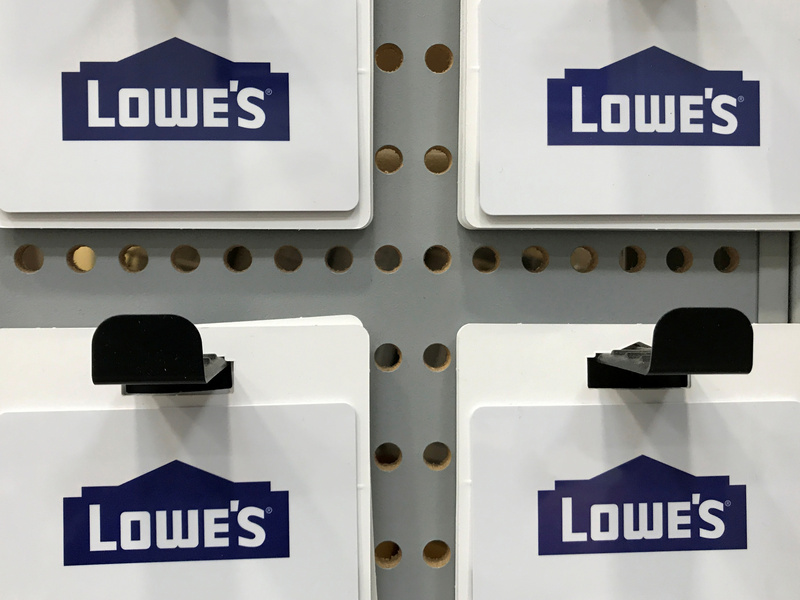 Lowe’s Companies reported on Aug. 23 second-quarter revenue rose 6.8 percent year-over-year to $19.5 billion and comparable sales increased 4.5 percent. Net income was $1.4 billion, or $1.68 a share, compared to $1.2 billion, or $1.31 a share, for the same period last year. Excluding a $96 million gain from the sale of the company’s interest in its Australian joint venture, adjusted EPS was $1.57 per share. Analysts had been expecting EPS of $1.61 and revenue at $19.53 billion, according to Thomson Reuters data. The retailer revised its forecast for yearly operating margins now expected to rise in the range of 80 to 100 basis points from an earlier forecast of 120 basis point increase. Lowe’s shares fell more than 5 percent to $71.61 in morning trade on Wednesday.